Catalogue Number: Eduard Kit No. 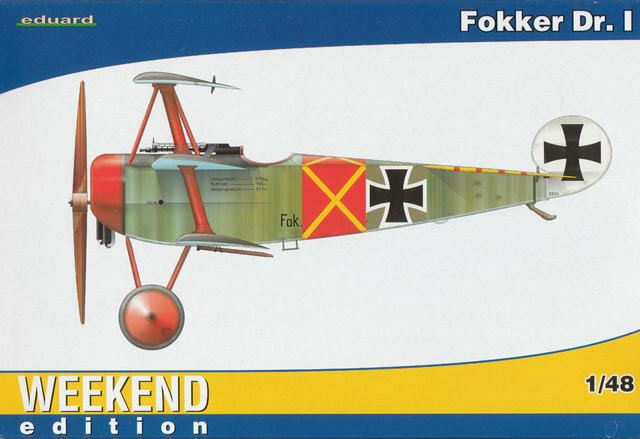 8491 - Fokker Triplane "Weekend Edition"
Accurate outline; well-engineered; crisp detail; decals in perfect register with minimal carrier film. The excellent fit of parts and the simplicity of the design make this an ideal “Weekend Edition” kit. There is no convoluted livery and the lack of photo etched parts allow for a straightforward and trouble-free build. 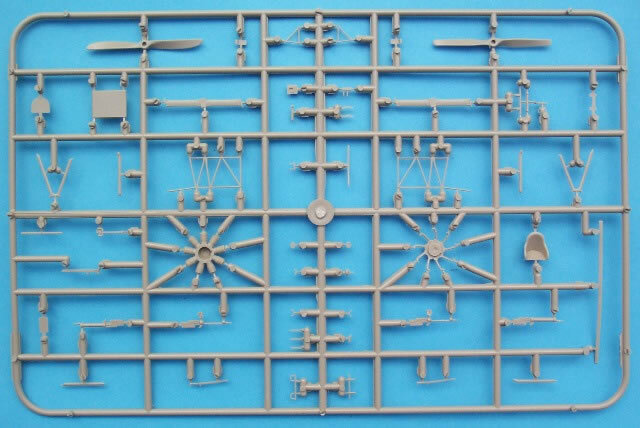 Despite being supplied with “only” the basic plastic items, the kit builds up into an excellent replica of this famous fighter and does so at a budget price. Eduard's 1/48 scale Fokker Dr.I "Weekend Edition"
Eduard’s version of the famous Fokker Dr.I was very much applauded when it first came out. That was over 4 years ago and it’s been re-issued a number of times since. This incarnation takes the form of the popular “Weekend Edition” series. 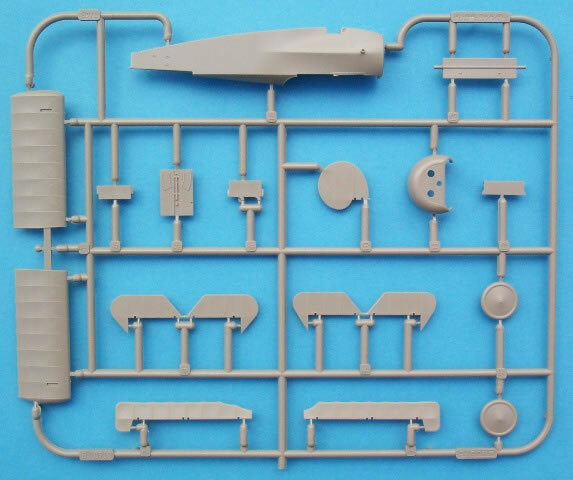 Upon opening the box, the modeller is presented with three sprues of tan coloured plastic. There are nearly 80 parts in total, which have all stood the test of time very well. 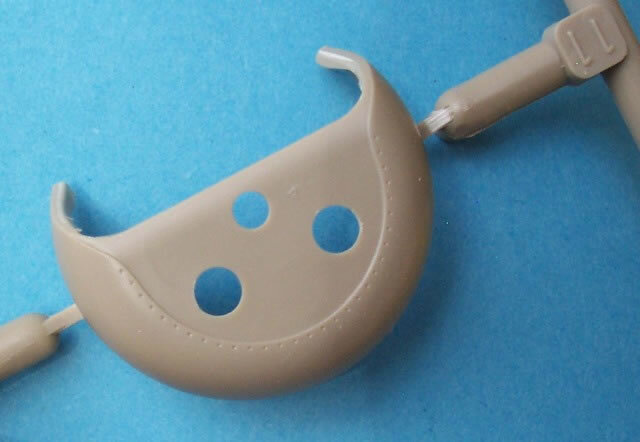 Ejection pin marks are essentially hidden on the finished product and all parts were free of any flaws. Eduard supplies the usual “office” components, so the floor, control column, rudder bar, seat (with cushion), compass housing, and ammo bins are all present. 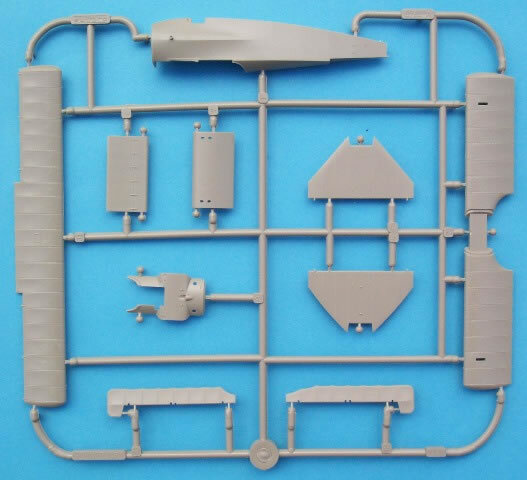 The rear linen screen is also provided, as well as the spent cartridge collector, Bosch engine magneto switch (moulded to the fuselage interior) machine gun mounts and even a storage bag. To enhance the cockpit further one should add seatbelts, a portside auxiliary “throttle” and a pressure pump mounted on the starboard structure. Instrument faces come in the form of some welcome decals, and along with the aforementioned additions, will contribute to a busy looking cockpit. Moulded into the inner fuselage sides are the triangular plywood formers. These accompany the separate internal tubular structure and everything fits together perfectly when the assembly is brought together. The wings are single piece affairs and feature clean crisp detailing. This consists of raised rib tapes flanked by fine engraved lines and careful examination will reveal the subtle presence of stitching. 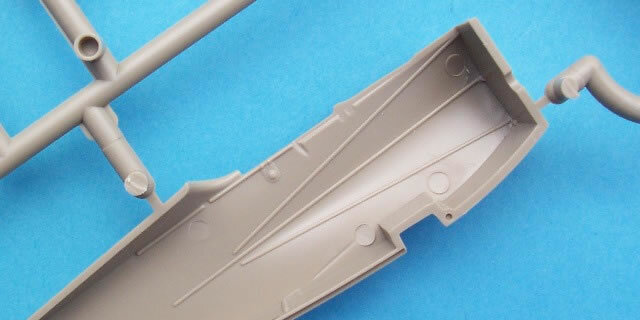 The bottom wing fits cleverly into a slot in the fuselage and when the other wings are added, they all align perfectly thanks to the single length struts. Separate ailerons, elevators and rudder allow for easy animation of your subject. As good as the kit is…there are a couple of things that need a bit of tweaking. First is the celluloid inspection window on top of the upper wing and this should be moved forward. It was there to allow the works number and date of spar manufacture to be read. 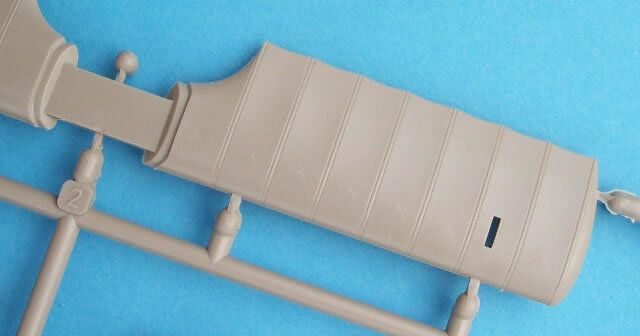 The kit also portrays fasteners on the undercarriage wing. This assumes that the lifting surface could be split for maintenance purposes but that was not the case. A quick sanding of these details will put things right. While you’re at it, add the rectangular opening seen at each end of the axial fairing which provided access to the bungee cords. A couple of blast plates beneath the gun muzzles won’t go amiss either. As befits a “Weekend Edition” kit, a single option is catered for. It’s Fokker Dr.I 564/17, flown by Ltn. Werner Steinhauser, of Jasta 11 during April 1918. All items are in perfect register with thin carrier film and opaque colours. A bonus is the included stencil data and Axial propeller logos which are sharply printed and perfectly legible. One anomaly that’s carried over from previous decal sheets is the way in which the serial number is displayed. The “I” in “Fok DRI” is the same size as the rest of the characters when photographs clearly show this isn’t so. Fortunately the personal markings of this release cover the affected letter on both sides of the fuselage. Steinhauser started his scoring flying for FA(A)261. He had 4 victories to his credit before being wounded in combat on 17 March 1918. There were 6 more aircraft added to his total before he lost his life on 26 June 1918 due to the accurate shooting from a SPAD 2-seater. These “Weekend Edition” don’t contain any photo-etched parts, resin, or multiple colour schemes. This allows them to be priced competitively compared to other releases.